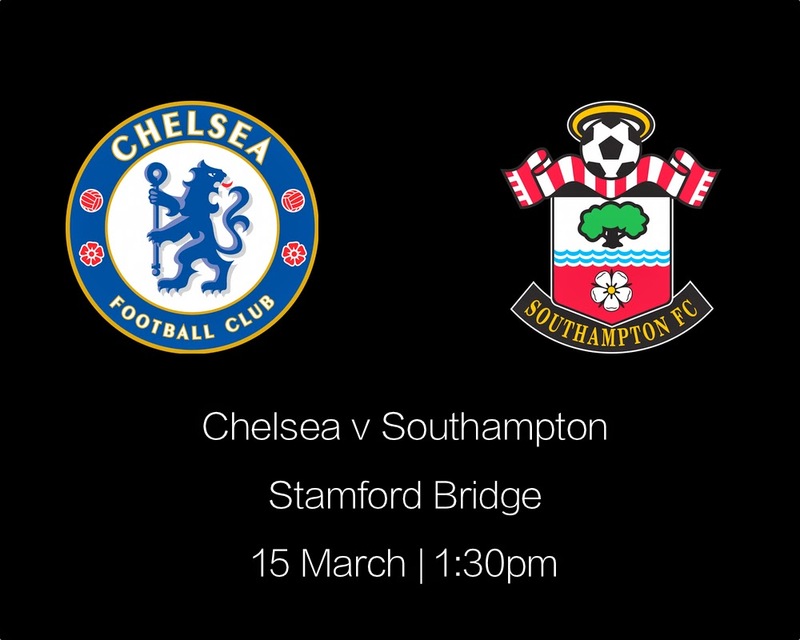 Chelsea can build on a five-point lead at the top of the Premier League when they host Southampton at Stamford Bridge on Sunday afternoon. With Manchester City slipping up at Burnley on Saturday, the Blues have two games in hand on the champions, a chance rarely afforded in the English top-flight, particularly during such a defining stage of the campaign. Unfortunately for Chelsea and Jose Mourinho, the time of asking comes when the team is in need of a pick-me-up. The Blues have won just two of their last five matches: a dominant 2-0 win over Tottenham in the Capital One Cup final nearly a fortnight ago, and a cagey 1-0 victory at West Ham in early March. Our harrowing Champions League elimination at the hands of Paris Saint-Germain on Wednesday evening is the kind of result that can rattle a team for weeks and derail an entire season. We played with very little passion, guts or ambition and looked nothing like a team deserving of a spot in the last eight. But with an eight-point buffer at the top of the Premier League hanging in the balance, Mourinho will be expecting his men to reset and secure an invaluable advantage over City. If there was ever a time to shrug off a Champions League hangover, it’s now. Nemanja Matic is allowed to return to the Blues midfield having served the two-match suspension he picked up against Burnley in February. John Obi Mikel is the solitary first-team player unavailable. Mourinho predicts he will remain out of action until early April following an operation on a meniscus before the Capital One Cup final victory over Tottenham. Saints boss Ronald Koeman is expected to hand Toby Alderweireld his first appearance in nine weeks. The Belgium international has been sidelined since tweaking a hamstring against Manchester United in early January. Southampton has no new injury problems, but will remain without Jay Rodriguez and Emmanuel Mayuka for the trip to London. It will be interesting to see how Chelsea respond to bundling out of the Champions League midweek. After promising so much earlier in the campaign, anything less than a league and domestic cup double would be a disappointment for the club. If making up for our spineless performance against Paris Saint-Germain isn’t sufficient motivation, surely the prospect of securing an eight-point lead atop the Premier League is. I predict the Blues will lift for this one and grab a 2-1 win over an equally desperate Southampton outfit.